Certain projects require the stately look and feel of parchment - wedding invitations come to mind. 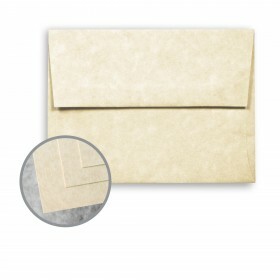 Diplomas, certificates, special announcements - all benefit from the classy look and feel of parchment. 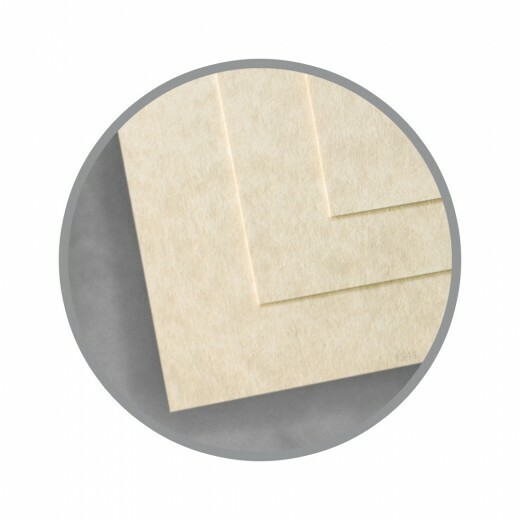 Mohawk Fine Papers Skytone delivers that look, feel, and tactile appeal - in a more stable, printable, and affordable paper. Available in ten rich colors, with a "handmade" visual texture - in fact, no two sheets are exactly the same - reminiscent of tumbled marble. With a distinctive vellum finish that complements the mottled finish - it's a delight to hold - and behold! 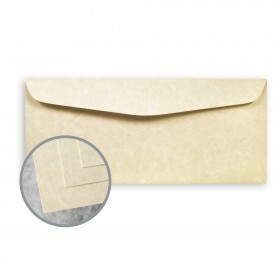 Four weights of text and cover are available, with matching envelopes for the perfect invitation, stationery, announcement, or ultra-classy direct mail. 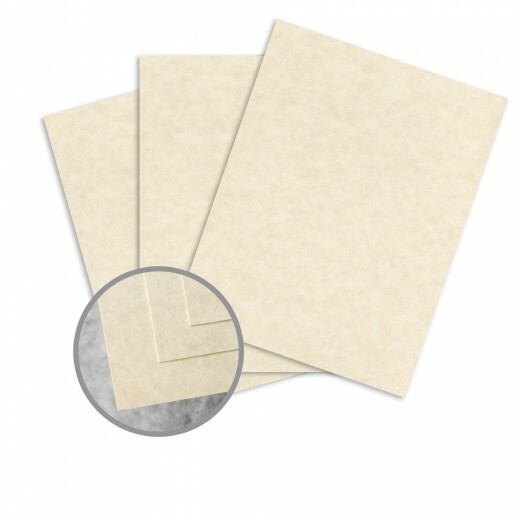 Think about using Skytone for historic documents, maps, folders, tabs, presentation covers, or special letters of commendation. You'll follow a green path because Skytone is made with 30% post consumer recycled waste fiber and is Forest Stewardship Council (FSC) certified. Acid-free for longevity, and ink let and laser guaranteed in the 60 lb text weight. Shoot for the sky, with Skytone, the classy imitation parchment, it's inviting! Mohawk Skytone Papers are easy to print on when following these simple hints. It is recommended to pre-test all printing procedures prior to press time to ensure the desired results are achieved. 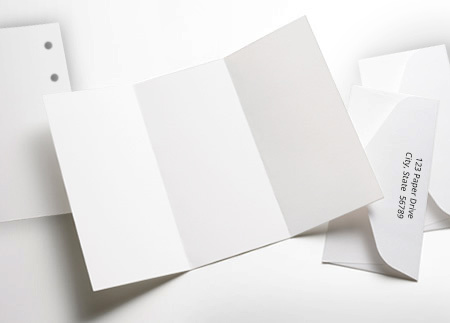 Print Mohawk Skytone like any conventional uncoated paper. We recommend heat resistant, wax free ink if you plan to follow lithography with xerographic or laser printing technologies. Keep Mohawk Skytone products wrapped until the moment of printing. It is essential to let the paper acclimatize, for a minimum of 24 hours – longer during cold weather – in the press room while still wrapped in mill packaging. Keep Mohawk Skytone products covered during drying, between passes and prior to any finishing work. Pressroom conditions should be as close as possible to 68 degrees, and 45-60% relative humidity. To properly score and fold Mohawk Skytone, use a 2 point rounded channel score. For the channel matrix, it is recommended to use a minimum width of 2.5 times the caliper of the sheet to be scored, plus 28/1000". Score with the grain, using a light letterpress score (not on-press litho-scoring). Fold into the bead of the score. Mohawk Skytone is suitable for all standard binding processes. It is important to plan for proper grain direction in all binding applications. Grain direction should run parallel to the spine for optimum results. Laser printer and ink jet compatible for 60 lb text, 8.5 x 11 and 11 x 17, mill finished sizes, subject to the limitations of the printer manufacturer. Embossing, die cutting and foil stamping work well on all weights. trouble free experience. We can no longer get this from our wholesalers except in large quantities. This helps us keep the customer. Thanks, Paper Mill! Was very reasonable in price. Easy to order. Paper color was a little different than expected but still useable.